Attending the International Students for Liberty conference in Washington D.C., enlightened me beyond anything I expected. It was my first LibertyCon as a campus coordinator for my local Students for Liberty chapter, and my first in general. There were a phenomenal blend of speakers; Andrew Yang, a 2020 Democratic presidential candidate, Arthur Brooks, entrepreneur extraordinaire, and many others, and among the sponsors for this powerhouse event were the social media giants, Google and Facebook. When I saw their names on the sponsor list I didn’t think much of it. After all, free expression – something SFL defends wholeheartedly – is supposedly central to their operations. But fledgling socialist firebrand and progressive darling, Rep. Alexandria-Ocasio Cortez, D-NY, saw it differently. The statement invalidates the entire purpose of the letter. If sponsorship doesn’t equate to endorsement, and the sponsors in question have made tangible efforts to assuage your fears, what’s the issue? 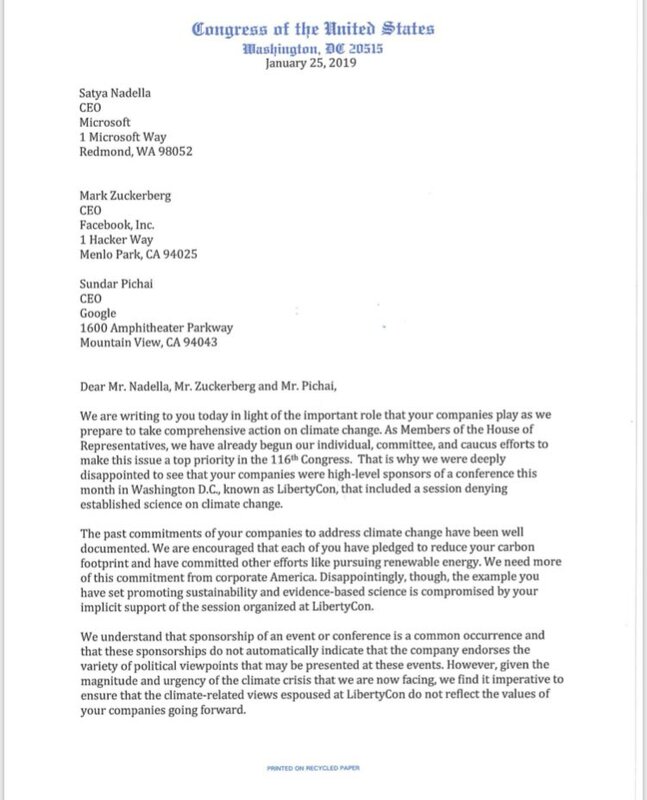 This letter was not about addressing climate change or a shift in corporate policy for either companies. It was an attempt to delegitimize an alternative viewpoint and use the power of the state to bully a company into ideological submission. Ocasio-Cortez, by her letter, suggests that by mere association or proximity with different ideas, our own are compromised. If that is the case, Congress is the worst place for her to be (and truly, it is). Also, if Google and Facebook became shut-ins of controlled thought and only engaged in ideas the state (or Ocasio-Cortez) deemed acceptable, would Rep. Ocasio-Cortez be allowed to use these platforms? The volatile nature of our government, in that it switches hands every two or four years, deems political power fleeting and institutional standards similarly so. Cortez’s tyrannical insinuation is just as threatening to the Young Democratic Socialists of America as it is to Students for Liberty. I saw a multitude of voices, ideas, and people represented at Libertycon; institutions as mainstream as the Cato Institute to voices as radical as the Center for A Stateless Society. Even in my campus chapter of Students for Liberty we have everything from Kamala Harris supporters to standard libertarians. For Rep. Ocasio-Cortez to reduce such a diverse organization to a ragtag band of climate deniers, is to indulge in what she knows best; pushing a narrative at the expense of the truth. These kind of attacks simply remind us all of an enduring truth; engaging each other, not shunning each other, is the only way our Republic will persist into the future. I don’t know about Congresswoman Ocasio-Cortez, but I intend to promote as many conferences that contain radical ideas as I can, and so should you.